Coulson and Ward. . Wallpaper and background images in the Agent Phil Coulson club tagged: photo marvel agents of s.h.i.e.l.d. 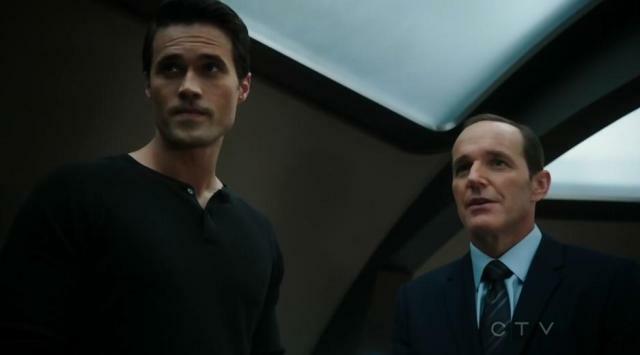 season 1 phil coulson grant ward. This Agent Phil Coulson photo contains setelan jas untuk bekerja and setelan bisnis.